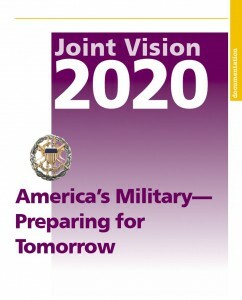 Currently viewing the tag: "U.S. Military"
Joint Vision 2020: America’s Military— Preparing for Tomorrow was published during the summer of 2000. 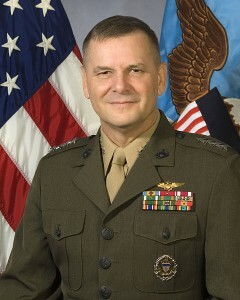 To set the stage for Joint Vision 2020, the Cold War had ended, the United States had suffered several setbacks which included the downing of Blackhawk helicopters in Mogadishu, Somalia and it was pre-9/11 and wars in Afghanistan and Iraq were not on the horizon. You can infer that the recognized information domain has now been relabeled as Cyberspace, or the Cyber domain. However the name change does not negate or change the importance of the domain. Yet it appears that with a shorter name, all of five letters, the marketing is easier and the flock of the “general populace” to solve the issues within somewhat clouds the major issues we are struggling with in the domain. Rather the focus has become who should lead the effort. It is interesting to see what remains valid today, in Joint Vision 2020, even after the U.S. shifted its focus from this document to respond to 9/11 and fight through wars in Afghanistan and Iraq. It is also interesting to see entities resuming its focus on Information Superiority and Innovation. Don’t forget to watch the current CJCS’s 2012 Commencement address at Norwich on living an Uncommon Life.